The next meeting of the Boston/New England Windows Phone User and Developer Groups will be held on Wednesday, April 20th 2011 starting at 6:30pm. 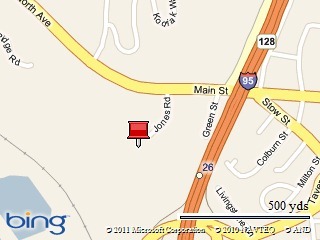 As usual, the meeting will be held at the Microsoft offices in Waltham, MA (201 Jones Road, 6th Floor). Also known as the “NoDo” update, Windows Phone 7 devices worldwide are receiving this update as we speak. In this presentation, we will look at what is included in the NoDo update. Most all Windows Phone 7 developers are aware of the application lifecycle and how it potentially impacts application design and development. However, many developers are still unaware of the best techniques for ensuring performance and data persistence. In this presentation, we will explore in detail the impact of application lifecycle events on application data and look at design strategies to ensure the integrity of data while retaining application usability and performance. In addition to the above-mentioned topics, this meeting marks a major milestone for the group. The April 2011 meeting marks the 10-year anniversary of Steve Hughes and I running the group. Ten years is a long time, so a bit of reflection (with a sense of humor, of course) will have to be included. We would love to see any of our user and developer group “alumni” from the past decade, so please try to attend.